The RM935 million-Shattuck St Mary’s Forest City International School will welcome its first intake of students and boarders this August, Country Garden Pacificview (CGPV) Sdn Bhd announced in a statement today. Aug 23 marks the first day of school for its students, while the institution will open on Aug 26. The school will initially accept students aged 5 to 16 years old (K-3 to Grade 10) before gradually introducing Grades 11 and 12 later. The international school has 16 teachers from the US, Canada, Australia, the UK, and Singapore, while its student body comprises citizens of various countries such as China, the UK, Philippines, Korea, Japan and the US. The private boarding school, which offers an all-American co-curriculum, is believed to be the first foreign campus by an American boarding school, said CGPV head of strategy Ng Zhu Hann. Students will be able to partake in holiday activities at the 160-year-old Shattuck St Mary’s main campus in Faribault, Minnesota. Remarkably, each student will have their own apartment within the campus, while teachers will also live on school grounds, he said. “With a total planned investment [of] close to RM1 billion, this project will be divided in three phases over a five-year development plan. “This exhibits Forest City and Country Garden’s commitment in investing [for the] long term in the country,” he said. He added that Forest City is a unique mega development that focuses on various sectors with education being one of its key pillar industries. Ng said Forest City offered more than residential properties as it aims to become a futuristic city comprising leading industries and institutions such as Shattuck St Mary’s. “The establishment of this school will strengthen Iskandar Puteri as an international learning hub,” he added. He stressed that Forest City aims not to compete, but rather to complement Iskandar Malaysia’s education ecosystem. 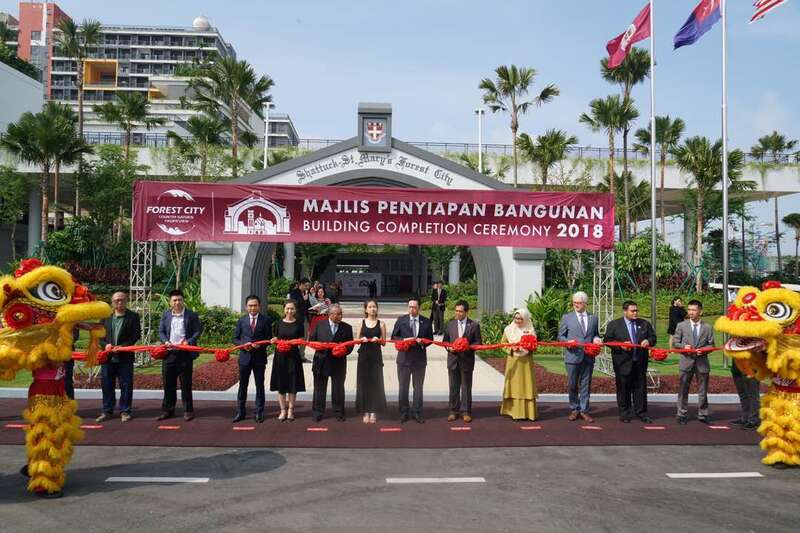 The school is proof of Forest City’s confidence in Malaysia and Johor, and the developer will continue to support the government’s agenda in promoting world-class education standards in Malaysia and participate in its nation-building.